The first hurdle is having the FDA acknowledge receipt of your 510(k) submission. FDA will send a formal Acknowledgement Letter or a Hold Letter if you haven’t properly paid the User Fee or submitted in an appropriate format. While technically a complete paper copy is still required according to the regulations, we recommend submitting a paper copy of just the Cover Sheet and the Cover Letter. You will save yourself some time and headache (and some trees) and won’t run the risk of forgetting a section or submitting pages out of order. Once the Acknowledgement Letter is sent to the applicant, FDA starts the Refuse to Accept (RTA) process. FDA staff will assess your submission using their Refuse to Accept checklist, which you can find here, to ensure that it contains all of the necessary information to conduct a full review for substantial equivalence. FDA will notify you within 15 calendar days of receipt of the submission whether it has been accepted. This communication will identify the reviewer assigned to your submission and will provide a decision regarding the acceptance/rejection of the submission based on the objective review criteria outlined in the RTA checklist. Once your submission has been accepted for review, it enters the Substantive Review period, when the FDA review team evaluates the information provided in your submission for demonstration of substantial equivalence. Within 60 calendar days of receipt of the submission, FDA will provide you with a Substantive Interaction. 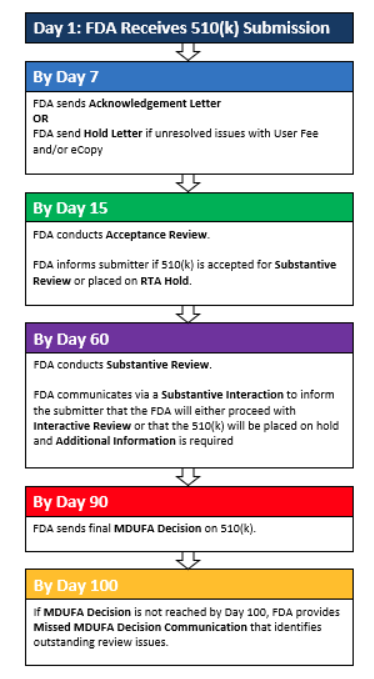 FDA will either let you know that the submission review will continue interactively, signaling that FDA believes the issues in the submission are minor and can be resolved within the remaining 30 days, or FDA will send you a list of deficiencies putting the submission clock on hold with an Additional Information letter. A Substantive Interaction could be a notification that the remainder of the review period can be conducted interactively, with minimal questions and clarifications. The review clock will continue to run, and you should be given your MDUFA decision within the 90 days from when your submission was received. Alternatively, if an Additional Information letter is issued, FDA’s 90-day review clock is put on hold, and the applicant then has 180 days to respond to the deficiencies in the letter. In 2018, 63% of 510(k)s received an Additional Information request. It is the large number of submissions that add time from the 180-day applicant review clock which pushes average review times out. Once the applicant submits their response to the Additional Information Letter deficiencies, FDA’s 90-day clock begins again, which would typically have another 30 days left on it. At the end of the review clock, FDA will issue their MDUFA decision (Substantially Equivalent [SE] or Not Substantially Equivalent [NSE]). In 2016, 83% of submissions were determined to be Substantially Equivalent, with an average time to decision of 141 days. FDA has also identified process improvements that they intend to implement in order to reach these goals. Some of these improvements include increased staff training, development of additional guidance documents, and enhanced use of consensus standards, but perhaps the most important is a commitment to increase applicants’ awareness and utilization of the Refuse to Accept process. According to an independent assessment of FDA’s Device Review Process Management conducted by Booz Allen, submissions that did not pass the Refuse to Accept review were associated with longer review times. Additionally, the most common reasons for rejection were Administrative in nature, easily avoidable mistakes that can be fixed by increasing applicants’ knowledge of the required administrative elements of a 510(k) and their use of the RTA checklist. As FDA is taking steps internally to reduce the time to decision (SE or NSE), there are steps you as the device manufacturer or developer can take to shorten the review period that can be impactful and ensure swift clearance for your device. This goes without saying but familiarize yourself with the RTA checklist now (linked above). Refer to it throughout your submission assembly process, and identify any potential missing elements and course correct as soon as possible. You should also complete the RTA checklist yourself and include it with your final submission to ensure that it will be accepted for review. In the RTA checklist, cite the specific page that contains the requirement and help the FDA reviewer find the information. Utilize the pre-submission process. Pre-submission meetings are free, and while they take some time to schedule (60-75 days from when you submit the request), they can be extremely valuable. They give you the opportunity to have early and open dialogue with FDA about your product and your development, and get feedback on your intended use and predicate device. For example, you can discuss the testing required for your submission, so that you conduct the testing in full to include in the submission, rather than missing something that will end up resulting in an Additional Information deficiency. Explore alternative pathways that may apply to you. Familiarize yourself with the breakthrough device program, and the Abbreviated 510(k) and Special 510(k) pathways. Notably, FDA has recently proposed expanding the Abbreviated 510(k) program, which would allow applicants to demonstrate safety and effectiveness to predetermined objective criteria. We will be sure to keep you updated with any news regarding this program. Additionally, the Third Party Review program was enacted by FDA to improve efficiency and timeliness in the review process. FDA has accredited third parties that are authorized to conduct the primary review of a 510(k) for certain eligible devices and then forward their review and decision recommendation to FDA. FDA then has 30 days to issue a final determination. Keep an eye out for news regarding FDA’s Software Precertification Pilot program. This pilot was implemented to inform the development of a future regulatory model for streamlined and efficient regulatory oversight of software-based medical devices. Manufacturers who have demonstrated robust quality and organizational excellence and who are committed to monitoring real-world performance of their products will be able to streamline their medical device submissions. We will certainly also keep you updated of any news regarding this program. Use software tools to streamline and automate the regulatory submission process. FDA has launched a Quality in 510(k) Review Program using their eSubmitter software template to format and submit 510(k)s for a small set of eligible applicants. However, while this limited pilot runs, other opportunities exist to streamline your assembling and submitting your 510(k). Right Submission’s software products automate, streamline, and promote collaboration for the regulatory submission process, exporting a formatted and hyperlinked eCopy-ready PDF pursuant to FDA’s style and technical standards. Right Submission ensures consistency and completeness, allowing you to assemble your 510(k) in a more timely and compliant way. Every 510(k) built in our software has passed the RTA review on the first try. At times, the pathway to clearance can seem long and full of roadblocks, but knowledge and preparedness can get you a long way. FDA is doing their part to streamline the review process and to ensure the rapid clearance safe and effective medical devices, and there are important steps industry can do as well. Both parties need to work together to get lifesaving technologies on the market and to patients. And as always, Right Submission is here to help. About the Author: Elizabeth FitzGerald, the Director of Regulatory Intelligence at Right Submission, is an experienced medical device consultant who has spent her career helping to bring lifesaving technologies to market faster. She has experience with the full life cycle of device development, through clinical operations, data management and analysis, and regulatory affairs. You can read the next article in our regulatory insight content series catered specifically to the medical device industry at RIMSYS, our content partner’s blog: The 510(k) Application: If Content is King, then Communication is Queen. RIMSYS and Right Submission, leading medical device regulatory software solution providers, have teamed up to provide decades of regulatory expertise and behind-the-scenes knowledge to its current and future customer base which includes thousands of regulatory affairs professionals. During the government shutdown FDA has not been accepting new device submissions, including 510(k)s, as it cannot accept associated user fees - you can read their notice on user fees and staffing levels during the shutdown here. Additionally, as of January 18th, 54% of FDA staff was furloughed or partially furloughed. While the shutdown will, at some point, end. For now, not only cannot manufacturers not make submissions to obtain FDA clearance on new devices thereby delaying the time to market, but FDA is also accumulating a backlog of ~300 devices a month that will delay clearance time once the shutdown ends. This is not good for industry or patients. But the best thing you can do is continue to work on your submissions. We are ready to support that and encourage you to look at our software platform for submissions that allows submissions to be done faster, done smarter. 100% of the 510(k) submissions built in our platform have got though the RTA review on the first pass - overall only 65% of 510(k) submissions achieve this mark of quality. AdvaMed, a medical device industry lobbying group, has supported draft legislation to allow FDA to accept and process new device applications during the shutdown. However, it appears that this will fail as it is not supported by house democrats. On January 22, 2019 FDA issued a public notice and opened a request for comments on their Medical Device Safety Action Plan specifically with respect to their proposal to publish a list of cleared devices that use older predicates. We expect that industry will not support this approach and that FDA will receive a large number of comments to that effect. One argument that will be made is that FDA themselves cleared these devices, knowing the age of the predicate, and they were able to meet FDA’s standard for safety and efficacy. So what message is FDA trying to send to the public? Another is that this may force manufacturer’s to innovate - even without a market need - and R&D costs that are passed on will increase healthcare costs. Will this be an appropriate or effective way to shift manufacturers to more recent predicates? What about devices for which there is no recent predicate; why force manufacturers to innovate if the marketplace is not asking for it, driving up healthcare costs unnecessarily? Although in many cases a 10 year predicate shoudn’t be the BEST predicate device that you can find. The request for comments does also ask “Are there other and/or alternative actions we should take to promote the development and marketing of safer, more effective 510(k) devices?” We believe there are, encourage people to provide comments to the FDA. The reliance of the 510(k) system on predicates certainly has its idiosyncrasies. But it is a system of Congress’s and the FDA’s making. We expect the European MDR to reduce the use of predicates in European medical device clearances, by requiring manufacturers to have full access to the technical file of a comparison device. There may well be merit to this approach: if a manufacturer does not have full information about a predicate, does it really make sense to demonstrate safety and efficacy to something with unknowns? It does appear that FDA is considering changing how predicates are used. But if the regulatory pathway for 510(k)s shifts away from predicates, it must shift somewhere. FDA’s answer today is that somewhere is safety and performance based. I had the same feeling about the paragraph above, and “We believe there are” – and whether you were then trying to posit this paragraph as one of those alternative actions? Also this week, FDA published their final guidance on a “Safety and Performance Based Pathway.” (We discussed the April 2018 draft guidance in an earlier blog post.) This pathway, once FDA has the first applicable device types and performance criteria determined, will implement an expansion of the Abbreviated 510(k) pathway. A predicate will still be needed, but rather than carrying out direct comparison testing against the predicate to demonstrate a device is safe and effective, manufacturers will demonstrate the new device meets FDA-identified performance criteria. We see this as a positive step - it is reasonable for a manufacturer to know what testing and success criteria a reviewer will expect to see in a submission. That information is not always readily available today. Often manufacturers only have access to the publicly available 510(k) summaries of predicate devices, which provide minimal detail regarding the testing conducted. FDA has promised more device-specific guidance. Regulatory professionals and consultants should not have to ‘use their best judgment’ when planning a clearance pathway. While pre-submissions do provide valuable feedback regarding regulatory strategy, they take time and can lengthen time to clearance. We hope that establishing objective performance testing criteria will lead to the development of safer and more effective devices than comparison to a predicate. The guidance discusses how "substantial equivalence for certain device types may be demonstrated in a way that is less burdensome, but at least as robust.” However, there is a risk that FDA will require more testing than is required today which will increase the cost of bringing a device to market. We also expect that the device types eligible for which this expanded Abbreviated 510(k) pathway will be limited and the program will grow at a slow pace. As always, Right Submission is here to keep you up to date on the 510(k) program, support your med device and IVD FDA submission needs, and provide software to get submissions done faster, done smarter. Right Submission is exhibiting at the upcoming 2018 RAPS Regulatory Convergence in Vancouver, October 2 - 4. We will be showcasing our suite of SaaS-based regulatory submission solutions. Stop by our booth in the exhibition hall for a demo of our current offerings, and ask for a preview of our upcoming products in development. Looking forward to seeing you there. Right Submission announces the launch of our Regulatory Intelligence module. Here you can search our proprietary database of over 147,000 FDA-cleared 510(k)s and De Novos, including the first available Indications for Use search tool, which is invaluable for both regulatory work and competitive analysis. You can search via Keyword or Indications for Use to return results specific to your product, and view Indications for Use results right in the browser. You can add additional parameters to refine your search as you go, so once you've executed an Indications for Use search, you can filter by a specific Product Code, Review Panel, or Regulation. You can save searches and return to the platform to update results or explore alternative regulatory pathways. 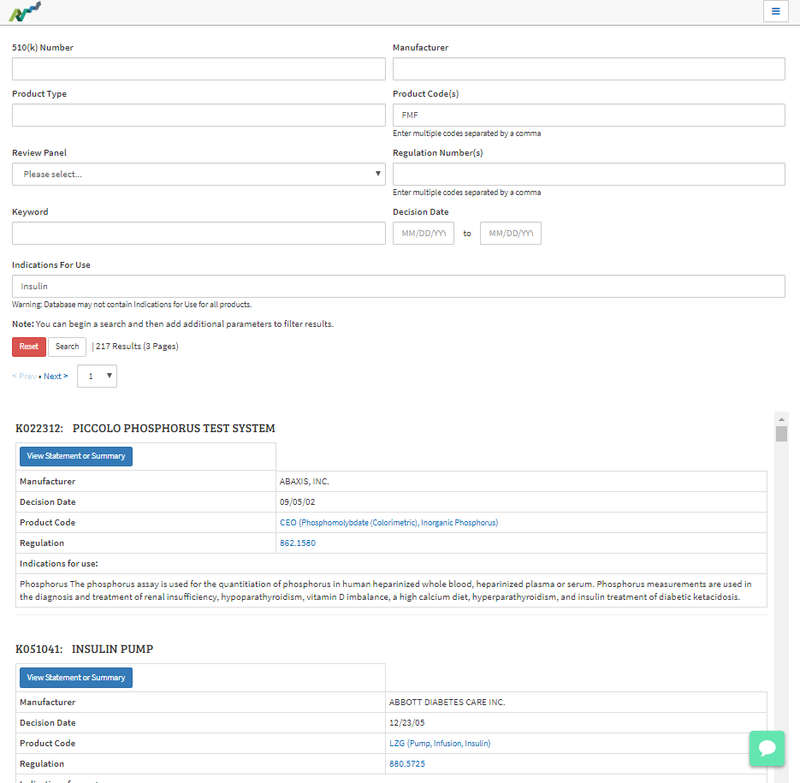 The tool includes access to our proprietary database of >147,000 FDA regulated medical devices and introduces a documentable search of the Indications for Use in our database - the first available IFU search tool which is invaluable for both regulatory work and competitive analysis. Please come and see us there. Right Submission and Greenlight Guru will be hosting a workshop, 510(k) Best Practices: Applying Risk Management and Design Controls. In this workshop you will learn a step-by-step approach for identifying the regulatory pathway, testing requirements and verifying these requirements before you even begin your testing. This is all part of an integrated approach to planning of design and risk management for medical devices. You can learn more about the workshop, and register for the event, by clicking here. Elizabeth presented on "HOW SOFTWARE CAN BE LEVERAGED TO STREAMLINE DEVICE DEVELOPMENT." you can see the free on-demand webinar here. This software guides you through the creation of a CSR pursuant to the ICH E3 guidelines for Clinical Study Reports. It helps build high quality content and allows for easy integration and management of your clinical data analysis and Section 16 appendices. You can then seamlessly merge your completed CSR into the 510(k) platform for premarket clearance. 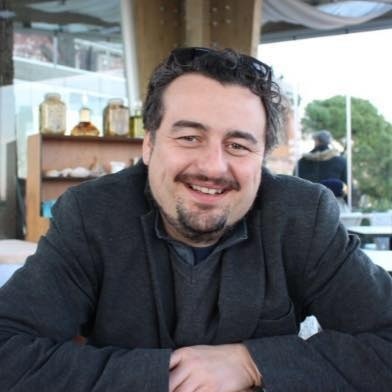 Juan Carlos Serna teamed up with greenlight.guru's Jon Speer to produce the podcast, "Why the 510(k) Process Is So Stressful & How You Can Help Streamline It." The episode discusses why the 510(k) process is old fashioned and in need of some upgrading, and how Right Submission can make your next 510(k) submission less painful by leveraging software to work faster and smarter. Right Submission will attend the 2017 RAPS Regulatory Convergence in Washington DC September 11-12. We are at Table 14--please come see us and get a demo of our software offerings. We have teamed up with MassMEDIC and FDA Attorney Jeffrey N. Gibbs of Hyman, Phelps & McNamara, P.C. to bring you a webinar focused on legal questions you might have relative to FDA product submissions. From a legal perspective what are common mistakes submitters make in FDA submissions? What recent legal cases has CDRH been involved in and how have they turned out? Is the confidentiality text we copy/paste into our submissions legally binding and what happens if we don’t include it? When should we include it? This is an extraordinary opportunity to get your legal questions about FDA device submissions answered. Right Submission is pleased to announce the release of the CER platform. Contact us for a demo to learn how Right Submission can help streamline your CER workflow. Right Submission is pleased to announce the release of the Knowledge Management System. Contact us for a demo to learn how Right Submission can help manage your regulatory document library. In April 2017 FDA cleared a 510(k) submission prepared with Right Submission's 510(k) platform in just 54 days. This is 3.2x faster than the average FDA clearance time and 123 days faster than average. Imagine what obtaining clearance for your device 123 days sooner could do for your company. Another 510(k) prepared with Right Submissions 510(k) platform has been submitted to the FDA.